Inbound transportation management is growing in both importance and scale as more companies have expanded, or have plans to expand, their global transportation network to accommodate import shipments from other countries. In response to this trend, there is an increased interest in gaining visibility and control over inbound freight. 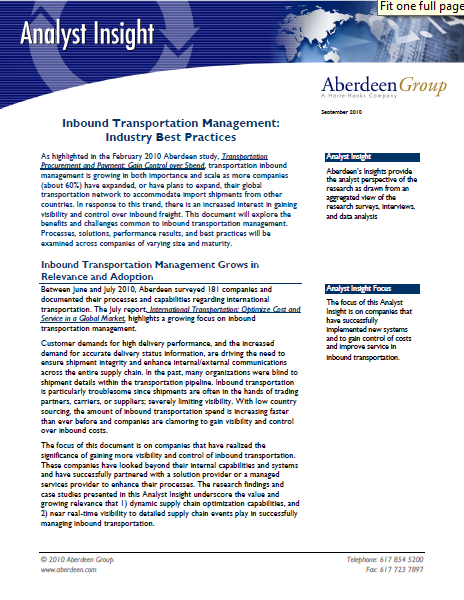 This white paper will explore the benefits and challenges common to inbound transportation management.